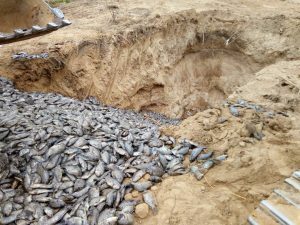 Over eighteen tons of unwholesome tilapia have been destroyed by authorities at Asutuare in the Shai Osudoku District of the Greater Accra Region. The shoals of fish which were on a Chinese fish farm at Asutuare were allegedly imported into the country from China. It is believed the strain which could not survive on the farm is genetically modified. 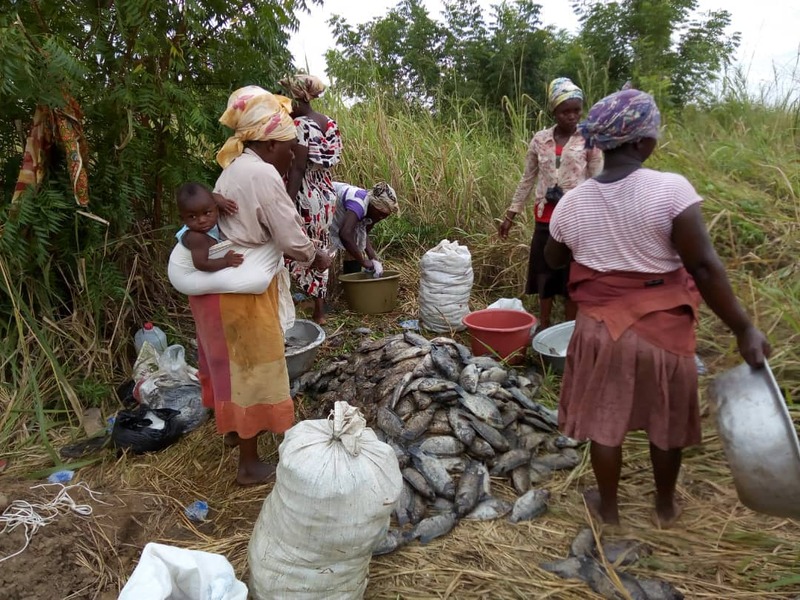 President of the Ghana Aquaculture Association, Jennifer Sodji, in a Citi News said Ghanaians should not panic over the matter. “The fish they had we realized that the fishes were dying and then we alerted the fisheries commission. EPA also moved in there to investigate the fish at the farm. The general public is not supposed to be worried about it because as we speak part of that farm has been closed down,” she added. In October 2017 the Food and Drugs Authority (FDA), destroyed 4,500 cartons of unwholesome canned fish that were said to be on transit to Togo, but were diverted onto the Ghanaian market. The unregistered consignment labeled ‘Asahi’ was imported into the country by Dotsico Ventures. Speaking to the Media, the Head of Communications from the FDA, Kames Lartey, said the products were cleared from the port on September 30, and were set to expire in February 2018, according to their labeling. “We discovered that ‘So Nice mackerel’ and Asahi mackerel were shipped into the country by Dotsisco Ventures, but the documentation covering them indicated that they were on transit to Togo,” he said. As the consignment was not destined for the Ghanaian market, the authorities at the Tema Port were not required to check the contents of the containers. The post 18,000 tons of unwholesome Chinese GMO fishes destroyed at Asutuare appeared first on Citi Newsroom.